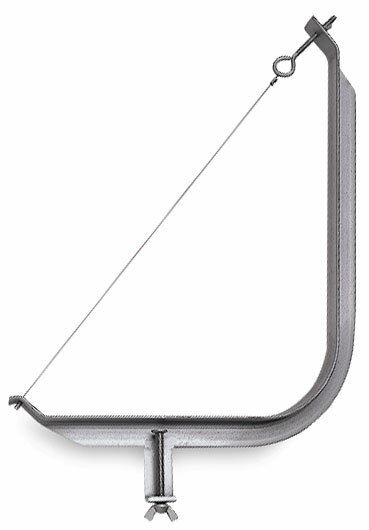 Amaco's portable wedging angle has a strong angle iron construction, with a steel cutting wire. The wedging angle mounts easily on tables 3" thick or less. An 18" steel replacement wire is available.